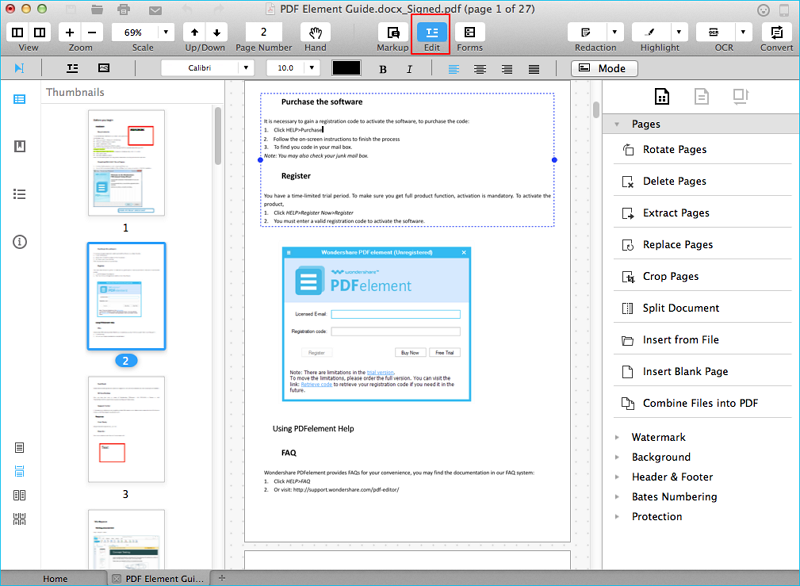 PDF xChange Viewer is a great PDF reader for free. However, it's Windows only PDF application. 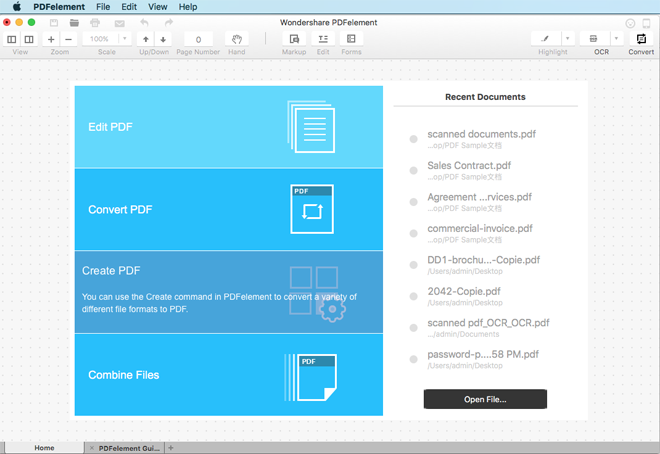 If you want similar features with PDF xChange, Wondershare PDFelement is a great choice to view, edit, create, sign and convert PDF files on Mac. This page will show you how to use Wondershare PDFelement for Mac. 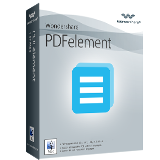 To view PDF files on Mac, you can either go to the Applications folder to open Wondershare PDFelement and then open PDF files inside the application, or right click your PDF files and select "Open with" then choose Wondershare PDFelement. When your PDF file opens, use the tools in the top toolbar to help you get a better view experience. You can easily edit PDF texts, graphics, watermark and pages like what you do in a Word processor. All common annotation tools are included, like highlight, underline, strikethrough, notes, text boxes, rectangles, clouds, arrows, etc. are included. 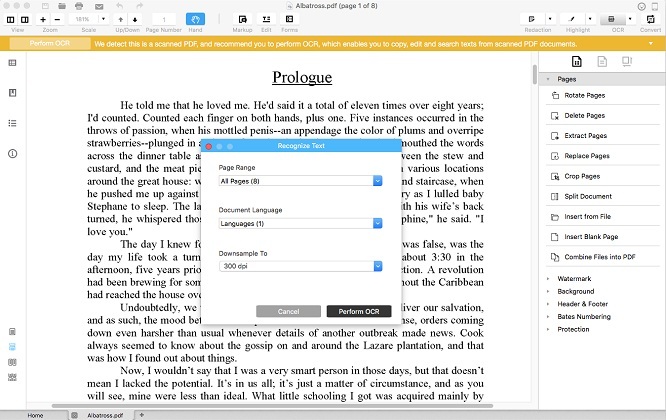 Just select the specific tool first and then edit PDF elements at your fingertips. Just go to File > Create and select creating PDF document from one supported file or from various files in different formats. 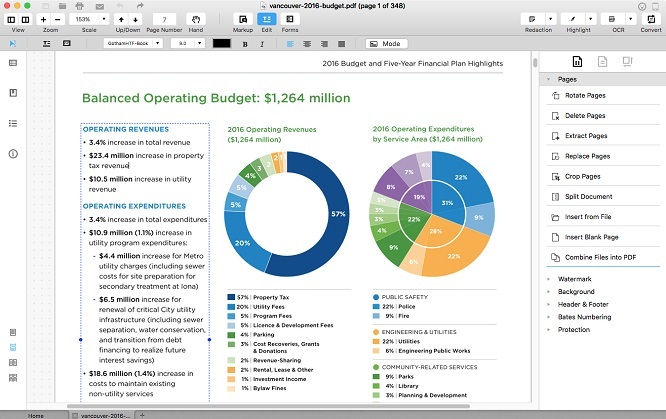 This PDF xChange for Mac alternative will automatically highlight fillable fields so you can start typing at a go. For non-detected fields, just use the Add Text or Annotate > Text Box tool to add texts anywhere you want. 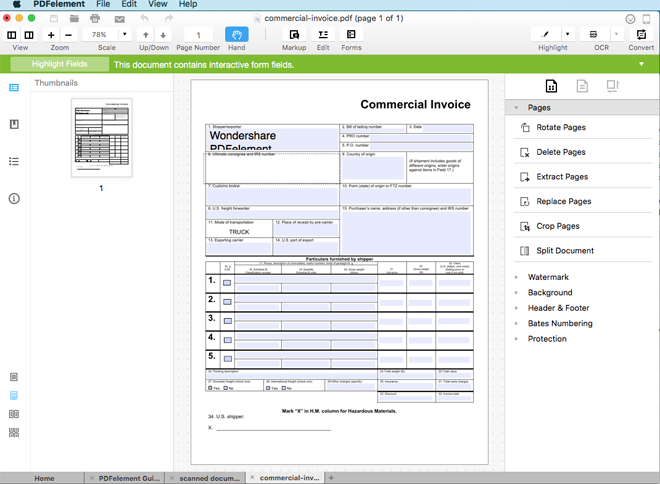 Like PDF xChange Viewer, you can export and import PDF form data to fill PDF forms quickly and easily. To create PDF forms, you're suggested using a template and then go to the top menu Form > Edit Form. The Stamp tool enables you to sign PDF with handwritten signatures or stamp PDF with unique graphics. To sign a PDF document, first click Stamp in the toolbar and choose "More". From the prompt, click the "+" icon and choose "Create Stamp from image file". 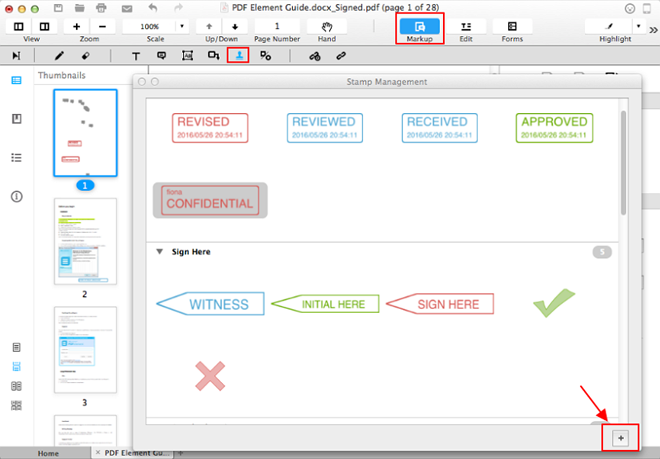 After making a stamp, anytime you need to sign or stamp a PDF document, move to the desired place and click the mouse. That's it. As illustrated in the image below, you're able to convert PDF to any office document format with Wondershare PDFelement for Mac. To do so, go to File and select Convert. In the open up dialog, choose the format you want and simply click OK to start converting to the selected format. The OCR feature provided by Wondershare PDFelement is superb easy to use. When you open a scanned PDF file with this PDF xChange for Mac alternative, there will be a pop-up window asking you to perform OCR or not. 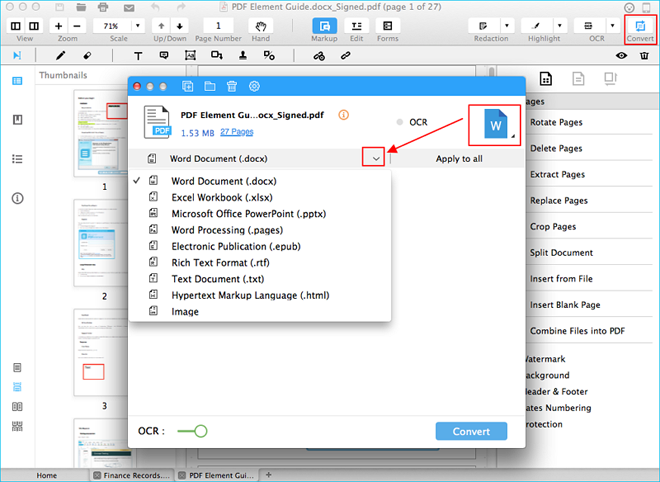 After select the right language of your PDF file, simply click the Perform OCR button to convert your scanned PDF to editable and searchable texts.